Home / Disney / movies & TV / sheet music / Hear the First Song from Disney's "Moana"
Hear the First Song from Disney's "Moana"
Moana is the upcoming Walt Disney Pictures animated movie featuring songs written by Hamilton writer and star, Lin-Manuel Miranda. The first clip was released and features Dwayne "The Rock" Johnson singing a tune called "You're Welcome." Disney will release the full soundtrack for Moana on 18 November, ahead of the film's 23 November release, and we'll have the sheet music available shortly after that! The soundtrack features vocals from Johnson, Miranda and Hamilton co-star, Philipa Soo, and songs written by Mark Mancina and Opetaia Foa'i. Moana, Disney's newest princess, is voiced by 14-year-old Mililani, Hawaii native Auli’i Carvalho, who was discovered while singing at a charity event in Oahu. 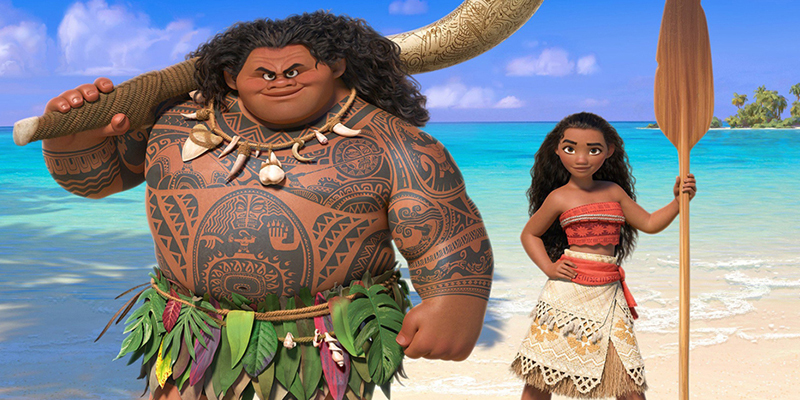 Watch the trailer below and stay tuned for more news about Moana. We’ve got a huge digital sheet music library of Movie and TV music favorites. Explore all of them HERE.